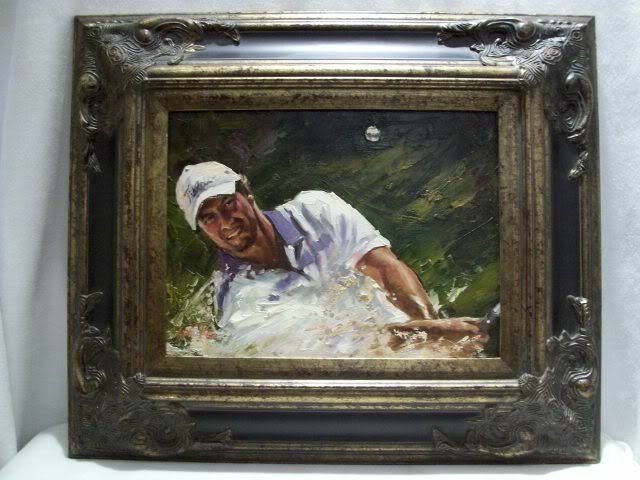 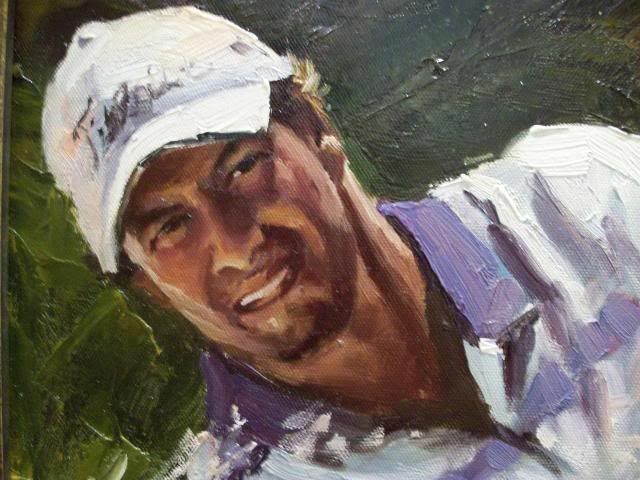 Handpainted oil on canvas golfers portrait. 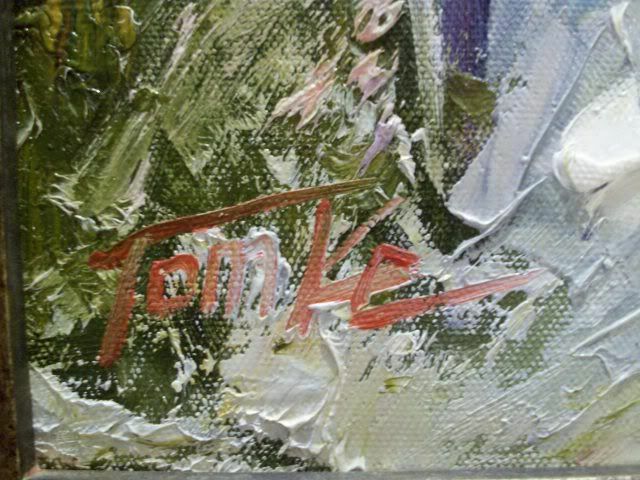 The canvas measures 16 x 12, framed it is 22.5 by 26 3/4" tall with a 3" projection. 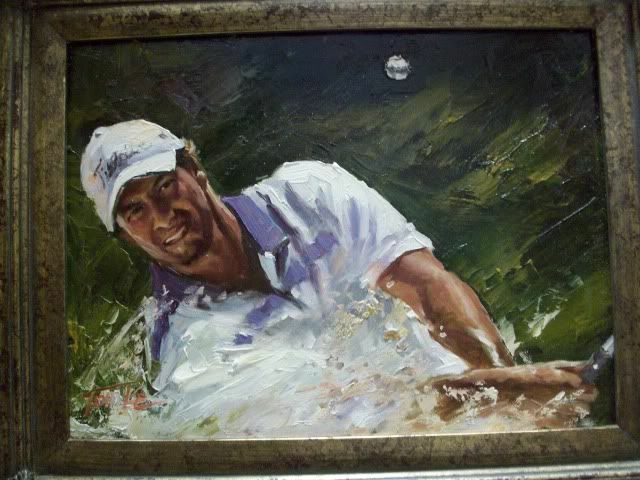 The painting is artist signed in the lower left hand corner.